Sandplay therapy is a recognized therapeutic modality founded by the Swiss psychotherapist Dora Kalff and based on the depth. The free and protected space created within the sand tray, and held within the therapeutic relationship, engages the psyche’s natural healing capacities. The active process of viewing and selecting figures from the collection combined with the kinesthetic and sensory experience of touching the sand and water provides an experiential means for revealing and processing unconscious information. As information from the unconscious emerges visually and symbolically in the tray, it can be identified, recognized, and eventually integrated into a person’s awareness and sense of self, thus allowing life to be lived in a more conscious and authentic way. Sandplay is particularly useful for identifying and reconciling internal conflicts and unconscious processes which may manifest in outward behaviors, beliefs, or emotions. 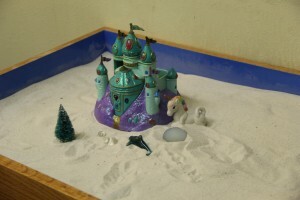 Clients often create many Sandplay images over the course of therapy, forming a series of images and experiential processes that illustrate and illuminate his or her unique path toward integration, self-awareness, and transformation. Neurobiological research upholds that emotional memories and traumatic sensory experiences are stored in the limbic system and right hemisphere of the brain, along with non-verbal, sensory experiences such as images, bodily sensations, and emotions. Expressive therapies such as Sandplay and art therapy are thus believed to be effective methods to access any unconscious content locked in the limbic system and bring it into consciousness where it can be cognitively reprocessed and resolved. Sandplay also provides a visual and experiential avenue for one to express complex experiences and emotions that are difficult to convey through verbal language alone. Sandplay or sand tray therapy? Sandplay therapy is often confused with “sand tray,” which is a generic term describing how boxes of sand are used with small toys as part of a child’s play therapy session or when used as a tool within the context of the counseling session. 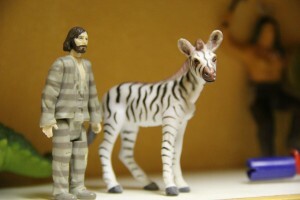 The underlying principles, purpose, and therapeutic use of Sandplay and sand tray therapy are quite distinct, although symbolic images are used in both modalities. 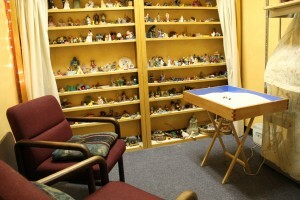 Sandplay scenes are created in a free and protected space, where the therapist does not interpret, interfere with, or direct the client’s symbolic expression. The Sandplay therapist maintains an attitude of receptivity and acceptance, so the client can bring unconscious material into consciousness without interpretation. Can I get certified in Sandplay Therapy? Yes. The Sandplay Therapists of America (STA), an affiliate of the parent organization, the International Society for Sandplay Therapy (ISST), recognizes four levels of membership: Associate Member, Sandplay Practitioner, Certified Member, and Teaching Member. Except for the Associate Member level, an application and documentation of engagement in one’s own personal Sandplay process with a Certified member, as well as additional training is required. There is currently no certification in the United States for sand tray therapy. The Sandplay Practitioner (SP) category of membership responds to an expressed need of STA members to recognize professionals who have completed a personal process and some sandplay training. This membership category is offered to those interested in offering sandplay within the scope of their license and training. It is also recognition of partial fulfillment of the requirements to become a Certified Sandplay Therapist (CST) and/or Certified Sandplay Therapist – Teacher (CST-T). STA Certified Members are sandplay therapists who are recognized for having completed a personal sandplay process and for their extensive training, writing and experience in sandplay therapy. Those wishing to apply to become Candidates for Certified Membership must conduct their personal sandplay process and group case consultation with Certified Members. Some STA Clinical Members go on to pursue the STA Certified Teaching Member status. These are highly trained and experienced sandplay therapists, who are recognized as STA-accredited teachers of sandplay therapy. Those wishing to apply to become Candidates or complete their requirements for Certified Membership must train and conduct individual consultation with Certified Teaching Members. 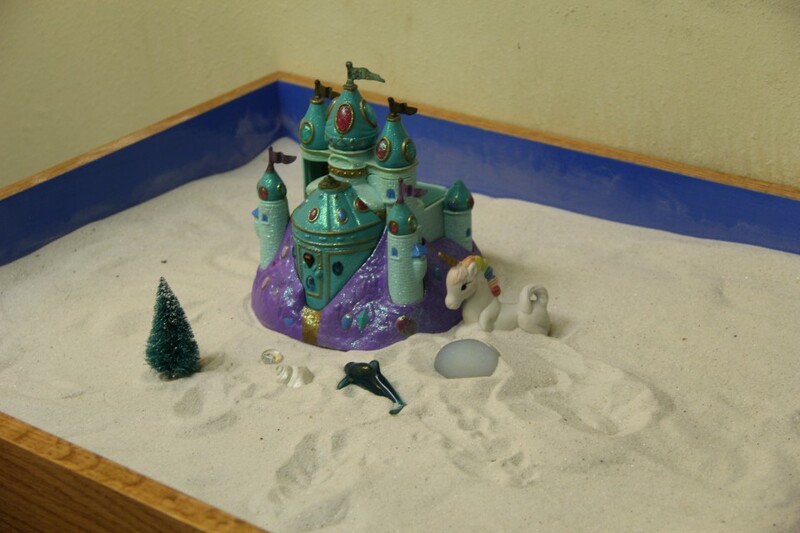 Do Southwestern College students have an opportunity to learn sand tray and Sandplay therapy? Yes. 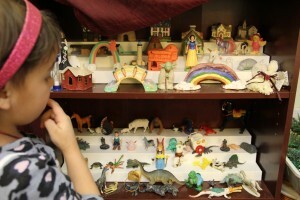 The Children’s Mental Health Certificate (CMH) program at Southwestern College offers a 20-hour course in Sand Tray and Sandplay with Children and Adolescents. In this course, participants have an opportunity to gain hands-on experience of making sand trays. 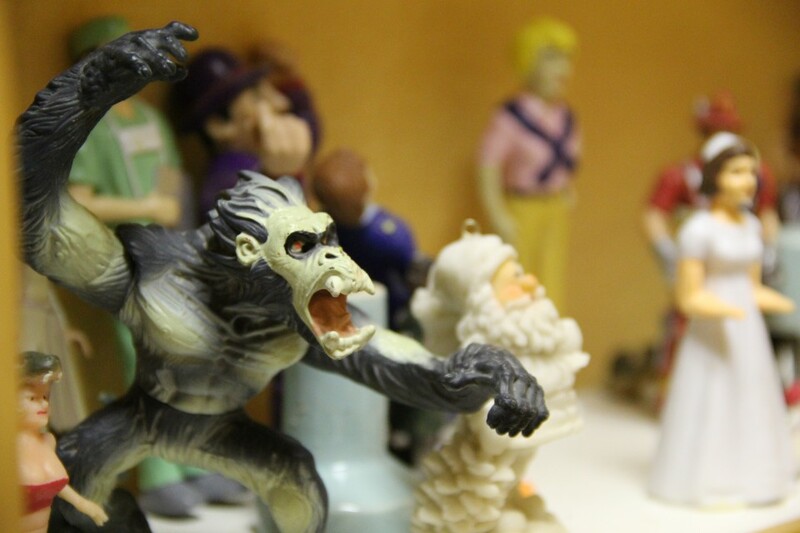 The process is explored experientially and supported by didactic and case material shared by the instructor. 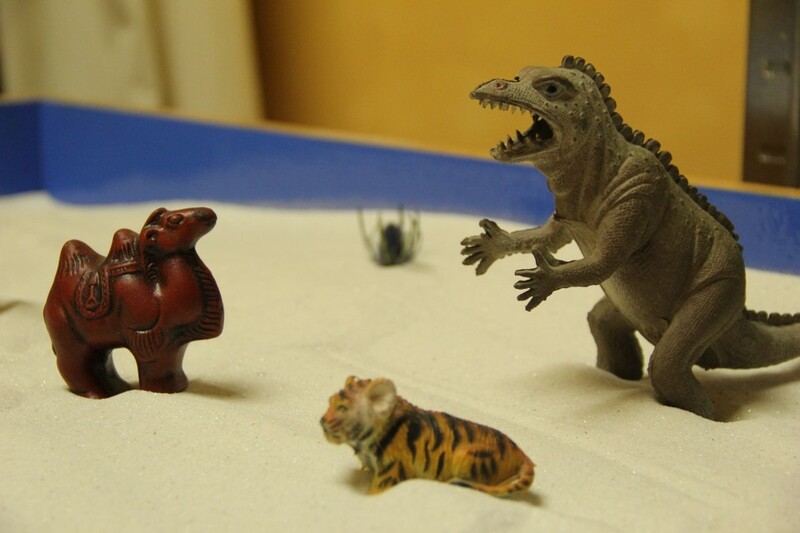 The differences between sand tray and Sandplay therapy are defined. Theoretical and historical content is also covered. 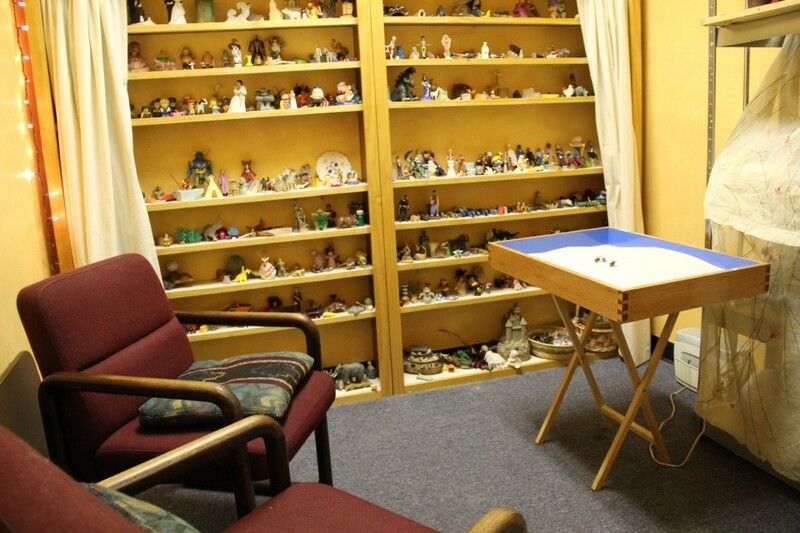 In addition to the Sandplay / sand tray course offered through the CMH program, a number of art therapy adjunct faculty also use Sandplay or sand tray therapy in their own practice. 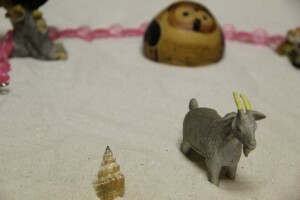 Discussion of relevant Sandplay case material, experiential exercises and exploration of symbolic processes relevant to Sandpay and sand tray therapy is also frequently incorporated into different art therapy courses within the Master’s Degree program in Art Therapy / Counseling.